2013 JC TriToons at preseason pricing! We have a great selection of 2013 JC’s in-stock and ready for test drives. Check out the newly redesigned JC SportToon and NepToon Sport, featuring Seagrass woven flooring and our new companion seating configuration. JC has also introduced the new Limited for 2013, which offers the same high-performance hull design as the NepToon Sport and SportToon at a value price. Call us today to schedule a test drive! 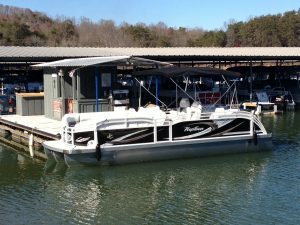 You’ve found the right place if you’re looking for North Georgia Boats for Sale, Lake Chatuge Boat Rentals, or North Georgia Boat Rentals! We look forward to seeing you this summer!